A growing number of businesses are discovering the benefits of monetizing their services using subscription billing. However, the vast majority of these brands offer software as a service, apps or curated retail boxes. Now, other types of businesses are experimenting with subscription billing as well, even airlines. OneGo, a new startup, will allow users to fly across the country based on a subscription fee. Not surprisingly, the service doesn't come cheap, and it's likely aimed more at business travelers than the average leisure flyer. The service divides the U.S. into three regions, West, Central and East. Users can subscribe to flights within a specific region or nationwide. Each selection has a unique price associated with it. A Nationwide subscription costs close to $3,000 per month, while the Eastern region is the second-most expensive, at $2,300 per month. West and Central cost $1,500 and $1,950 per month, respectively. All of this comes after an initial setup fee of $495. To cover baggage fees and seat upgrades, OneGo asks for an additional $750 per month. According to Bloomberg Business, OneGo hopes to use subscriptions to make the business of paying for flights more predictable, which could mean greater savings for travelers. "OneGo helps to level the playing field by making air travel costs more predictable for even the most frequent travelers," according to an FAQ on the app's website. "The consolidated buying power of OneGo's customers allow us to obtain better pricing that we can then pass on to those travelers." So far, users have access to 76 U.S. airports and seven top airlines, including American Airlines, JetBlue and Southwest. A new subscription service hopes to make business travel easier. Another benefit of the service is simplified booking. Currently, subscribers can have up to four active bookings at once, and travelers are required to book these flights a week in advance. After paying upfront, travelers wouldn't have to worry about choosing indirect flights or sorting through other options just to find the best price. According to The Next Web, the app hopes to allow up to eight bookings in the future and will also allow users to make last-minute travel arrangements. The ability to schedule extremely last-minute travel would make the service more valuable. 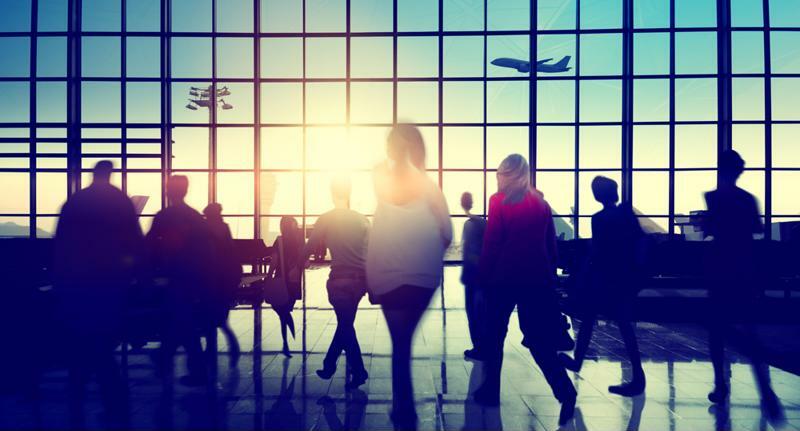 Businesses are often in the position where they schedule meetings for the next day and often take a financial blow getting employees on a flight to make it in time. In this case, paying a subscription would be a good cost-saving measure for companies. To earn money from the subscription billing approach, OneGo is hoping that most months, users won't fly enough to cover the entire fee. This business model is a familiar one - insurance companies and local gyms use the same approach, Bloomberg Business pointed out. But will it catch on? Users can sign up starting in February, but the iOs app won't be available until March. Currently, there is no Android version, although the brand plans to release one in the future.